Training is good, training together is better! 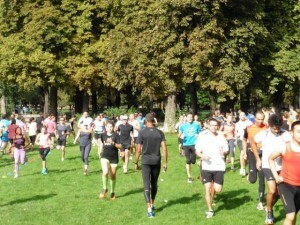 Diadora launches a training program for the 20km of Paris with the coach Benoit Cesar: 15 sessions from the end of May until the D-day, an exclusive training, free and open to all, which will take place every Saturday morning alternately at the Bois de Vincennes or the Bois de Boulogne. Benoit Cesar, who already collaborates with the 20km of Paris for 3 years, will accompany you during your preparation with professional training sessions: endurance, odds, split, as well as test sessions. He will be able to give all the useful advice to prepare your race, without forgetting stretches and recoveries. 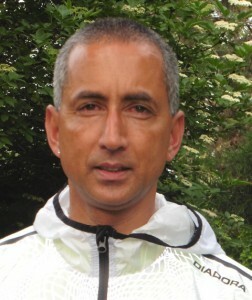 Federal coach and several times champion of France, Benoit Cesar is also the creator of the website « Courir pour le plaisir », a slogan that perfectly summarizes the spirit of Diadora, promoter of running as a moment of well-being and sharing. To participate, register on Facebook events on the page of 20 kilomètres de Paris, where you will find all the information about the meeting place and schedules. 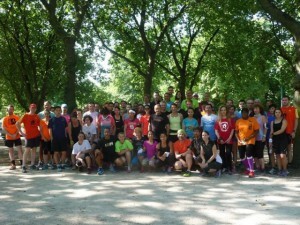 Training Diadora – Preparation of the 20km of Paris 2018. Coach’s Tip: Before coming to training, have a good breakfast 2 hours before, a cereal bar and a small bottle of water to accompany you during the session and plan a spare T-shirt for after the session.